In summer last year, I wrote about a gorgeous homeware shop in Brighton called Utility. It crosses between a hardware store and swanky lifestyle shop (think B&Q meats Labour & Wait). But the best thing is that it doesn't have lofty prices. 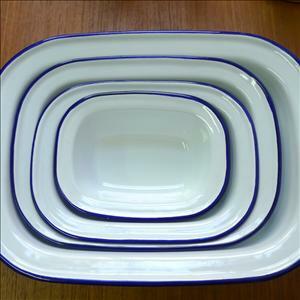 Even with enamelware being so popular at the moment, the shop keeps its prices low (and its chit-chat friendly). The enamel pieces start at £3.25! 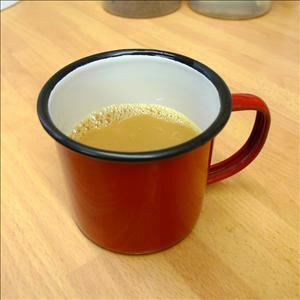 Except for the cool enamel mugs, they're £2.70. 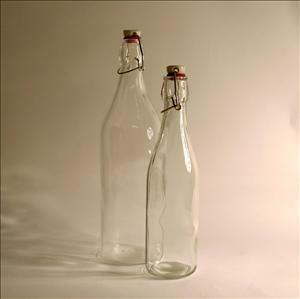 These stopper bottles are great to have on your desk while you're writing. I live in constant fear that I'll knock glasses over my laptop. The little ones at £9.50 and the litre bottles are £9.50. 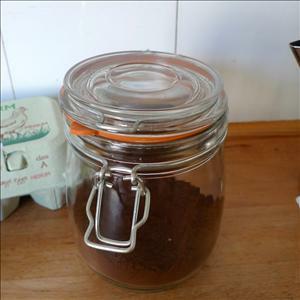 The airtight jars are just £3.50. Oh yes. I'll be needed twenty so I can make jam. They also sell packs of spare seals for £1.60. This shop thinks of everything. 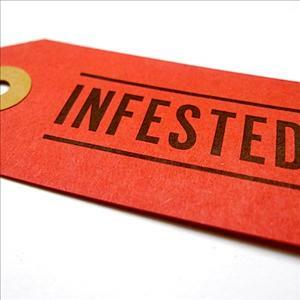 These infested labels (unused but apparently sourced from a nearby hospital) might stop people from stealing your ice cream. They're just £1.50. Delivery is actually a little pricey - it's a flat rate of £4.95, but that takes you right up to a kilo. Just buy lots and lots of little things to make it worthwhile. Labour & Wait. You've got competition.